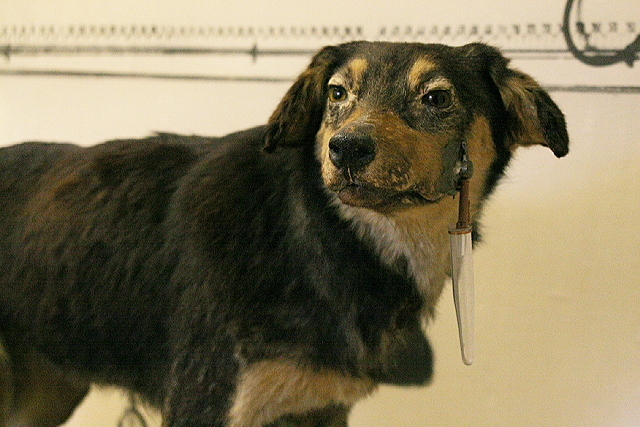 Remember the story of Pavlov and his dog? His dog was conditioned to start drooling when he heard a bell because he knew food was coming. Imagine the distraction…DING! Thoughts disrupted. Concentration lost. Eyes darting. This describes not only Pavlov’s dog, but it describes me as well. Let me explain. No, I don’t think of food when I hear a bell (at least not always), but I can tell you, when that email notification (DING!) sounds and the message notification appears, I check to see what email message has arrived. By this, I mean I glance at the lower right portion of my screen to see who has emailed me. Unfortunately, this happens 150 to 200 times a day. DING! Oooh look…shiny object! What on *earth* is so important that I lose my train of thought? Many of us have been conditioned to read email (at least the title and sender) when we see/hear that email has arrived. Why? Likely it’s because so many people expect an immediate answer, as if I have nothing else to do but stop what I’m doing and respond to you (er, except you boss). Worse, they’ll call asking if I got their email. For the record, I’m okay with the phone call if you have an urgent question. By all means, for complicated questions and answers, I’d much rather spend a few minutes on the phone versus responding via email. However, in a previous professional life, everyone kept and filed every single email as the ultimate CYA (“cover your a**) insurance. That was horrific. Even after a phone call, they’d send you an email reiterating what you just covered on the phone. A few years back I trained myself to simply glance at the sender without going to my Outlook main page. I thought this was a good start at freeing myself from Outlook Prison. I was doing okay until my email messages started coming in ten at a time. These days, if I get an email from my boss or an important client, I respond right away. Otherwise, I keep working. Honestly however, even the glances at the email alerts distract me. So today, I tried something new; I turned off the email notification entirely. No DING!. No message indicator. Nothing. I also did something else; I put two, one-hour blocks of time on my calendar, every day, to answer email, first at 10:30AM, followed by another block at 2:30PM. Then, I checked one last time at the end of the day and answered some emails, though not all. Some emails will simply have to wait until tomorrow. I have to admit, I think I was more efficient today. I have more work to do, like sending a dozen or so auto emailed reports I receive daily to a reports folder for reading later. By the way, since I share my calendar with a few people, my time blocks list “I’m working – emergency interruptions only” as the activity. That should keep people away for a while. I also shut my office door. When this stops being an effective deterrent to interruptions, I’ll change it up. I’ve been known to put meetings on my calendar with luminaries, alive and dead. You have to admit, when you look at someone’s calendar and it says “Telcon with Elvis” or “Lunch with Margaret Thatcher” people hesitate to interrupt. My blocked time was very effective until I got a few text messages (rats!). None of them were urgent by the way. Texting, as you know, is the new email. This is just what we need; more distractions. I will keep you updated as things progress. Until then, do you have any email management techniques or other helpful hints to avoid distractions during the day?